There’s nothing like sitting in the audience anxiously awaiting to hear your name when your competitive event is called. The journey to DECA’s International Career Development Conference starts now by choosing the competitive event that is best for you! Visit www.deca.org/competitions/highschool for guidelines and listings. THE THRILL OF SOLVING A CHALLENGE BY THINKING ON YOUR FEET? Do you like to work INDIVIDUALLY? Do you like to work WITH A PARTNER? Are you a first-year DECA member? 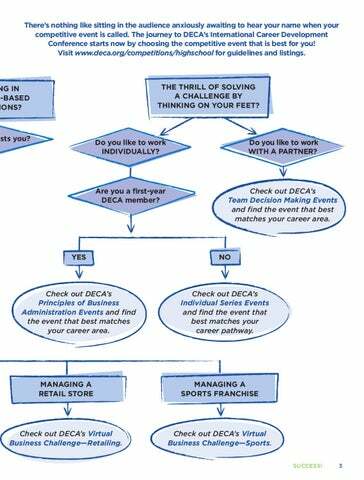 Check out DECA’s Team Decision Making Events and find the event that best matches your career area. Check out DECA’s Principles of Business Administration Events and find the event that best matches your career area. Check out DECA’s Individual Series Events and find the event that best matches your career pathway. 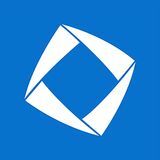 Check out DECA’s Virtual Business Challenge—Retailing. Check out DECA’s Virtual Business Challenge—Sports. SUCCESS!